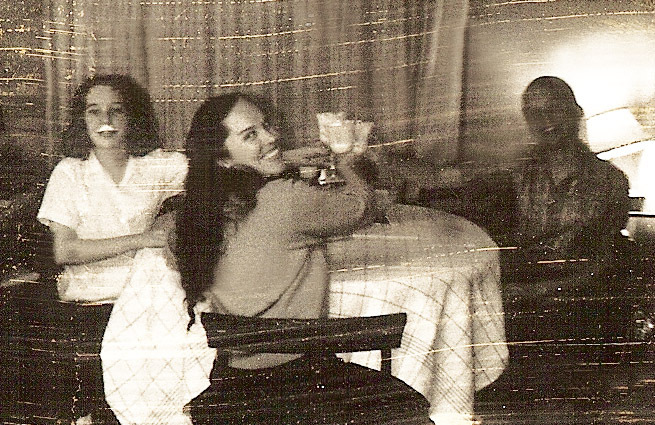 My sister Pearl with mustache, me in the shadows, my mother. Toasting with Eggnog. 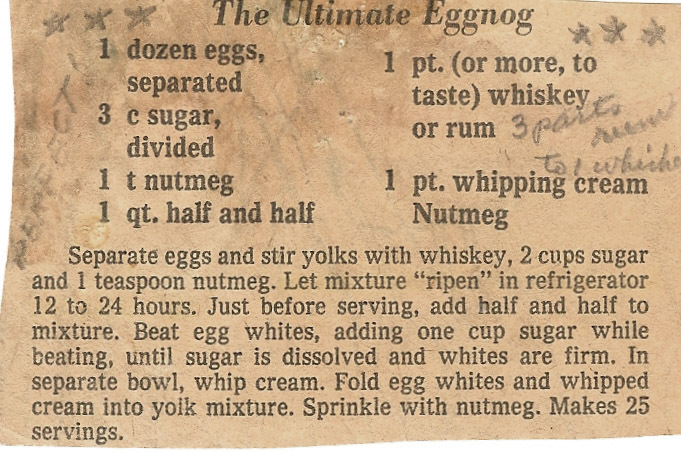 The eggnog recipe my mother used. She clipped it from the Detroit Free Press. Love this one, Kristin. Cheers!